We Don’t Cut Corners. We Clean Them! November 14, 2016 2:29 pm / 1 Comment on We Don’t Cut Corners. We Clean Them! After years of vacuuming and do it yourself carpet cleaning, it is easy to forget the true color of your carpet. The discoloration sets in and you think your carpet is doomed. This may be true if you don’t contact Clean Rite. Clean Rite offers a 3 step cleaning process to ensure we do the best job possible! Contact us today to get scheduled. No matter what’s gotten into your carpet, Clean Rite is here to help! This stain didn’t stand a chance. 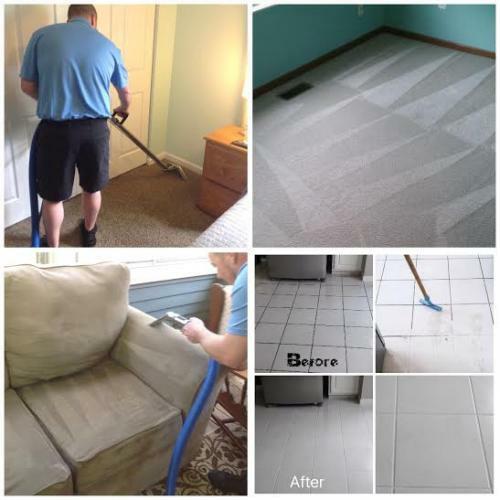 Contact Clean Rite to see what we can do for your carpet, upholstery, and tile! Fall weather is fast approaching. Between school sports, weekend s’mores & camp fires, and watching the Buckeyes, finding time to clean can be difficult. Let Clean Rite help! Our services include carpet, upholstery, and tile & grout. We provide great results at an affordable price! Contact Clean Rite Carpet Cleaning to take care of all your carpet and upholstery needs! Your children aren’t the only ones who can be excited for school to start. Your home can too! Call Clean Rite today to get your home cleaned and ready for a new school year! Majority of homes are vacuumed at least once a week. Vacuuming may remove surface dirt and make your house feel clean, but it doesn’t get a fraction of dirt, oil, and hair out of the carpet. Having your carpets cleaned with hot water extraction (steam cleaning) is guaranteed to remove unwanted dirt lingering in the carpet fibers. Not to mention, it will leave your home smelling and looking great! Contact Clean Rite to book your appointment! July 4th is a great day for America! Many of you celebrate our nation with family and friends. Don’t forget to have your carpet, upholstery, and tile & grout cleaned before the festivities! Don’t Forget to Call Clean Rite! Spring is in full blast and so are allergens. Clean Rite can easily extract dander, dust mites, dirt, and pet hair from your furniture. Not to mention your furniture will smell great and look refreshed!